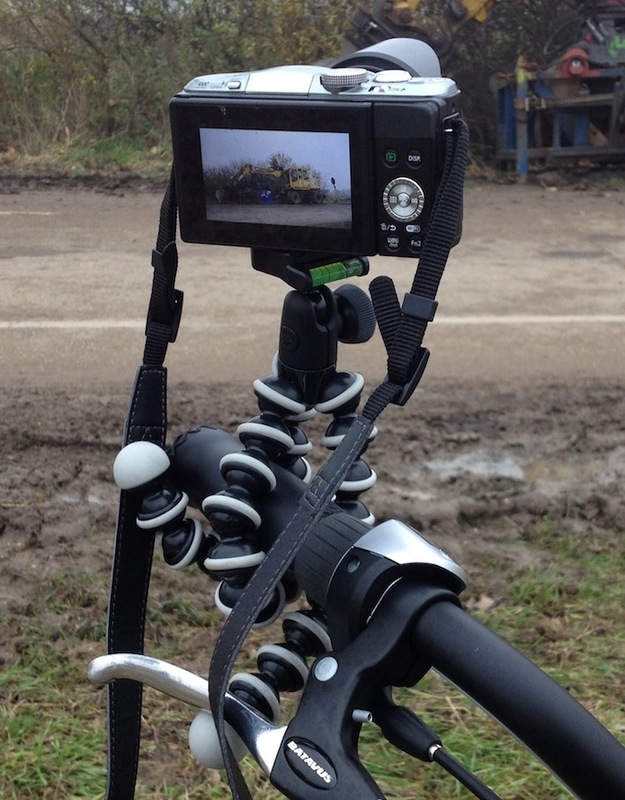 Always take a Joby Gorillapod with you. If you forget your big tripod, you can always use your bike for support! Artistieke impressie van een aflevering van de politie-serie Baantjer. Yesterday I purchased Adobe Photoshop Elements 10 Editor in the Mac App Store, for my wife's Mac. Of course I installed it on my Mac too and the application seems to runs just fine, but I could not save any image I edited. Huh!? When I tried to save edits made to an existing image, PSE10 constantly showed messages about disk errors (-38) and problems writing to the scratch disk and then froze itself somehow. Well, I also have Photoshop CS5 installed and with that application I have no problems at all, and it uses the same scratch disk: my internal HD. There is no other disk and that disk is ok – which means that the error from PSE10 has in fact nothing to do with the disk. Therefore, the error must have something to do with the file(s). My gut feelings started to probe all information I have about files under Mac OS 10.7.4, and suddenly a thought popped up that it might have to do with the new OS X Lion's file locking 'feature'. That somehow PSE10 does not use Apple's file I/O routines or this version of PSE10 (v10.0) doesn't know about this 'feature' in Mac OS X Lion. The images I edited were from 30.5.2012 and when I opened them in Preview, the word 'Locked' showed in the titlebar. After turning it off, my Mac began to act strange - a few apps started to crash, others suddenly hung. So, hop, restart that Mac! Luckily that solved it all and what is more, since I turned it off, PSE10 works without problems - no more 'disk'-errors. And ... I have about a few 100MB more free memory and the free memory remains stable, it doesn't get 'eaten' anymore! That might be subjective, but the numbers don't lie. I can really recommend PSE10. It's fantastic! Thumbs up Adobe! Features from applications like iResizer, inPaint and others are all built-in into PSE10! Time to clean up the application folder! Now if there only would be Adobe Illustrator Elements for that price.... I would not be needing CS5 anymore. Naar aanleiding van verzoeken op Recensiekoning.nl en KinderTV.net, hierbij de links naar de films De Grote Dikke Beer Vertelt en De Draaimolen, welke wij voor onze kinderen bewaard hebben door de van televisie opgenomen programma's op VHS-cassette naar DVD over te zetten en de DVDs dan weer op de computer te importeren. direct op je iPad, iPod, iPhone of Apple TV 1 worden gecopieerd en bekeken. Helaas zijn de kosten voor het extra dataverkeer iets aan de hoge kant en dus bied ik de films alleen nog op DVD aan. Stuur me een mailtje via de 'Contact me'-link onderaan de pagina.